Before we start, I wanna say this is a sponsored post. I received the products mentioned in this review as a gift, to test them and to write my honest opinion about them. The fact that I was gifted these products, will not affect my opinion in any way! Read more about sponsoring here. 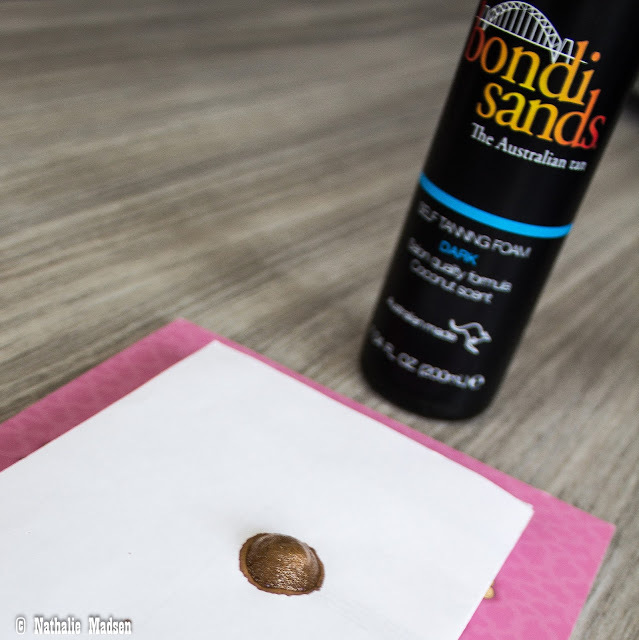 When I received a package from Bondi Sands, Australia's no.1 self - tanning brand, I was thrilled! 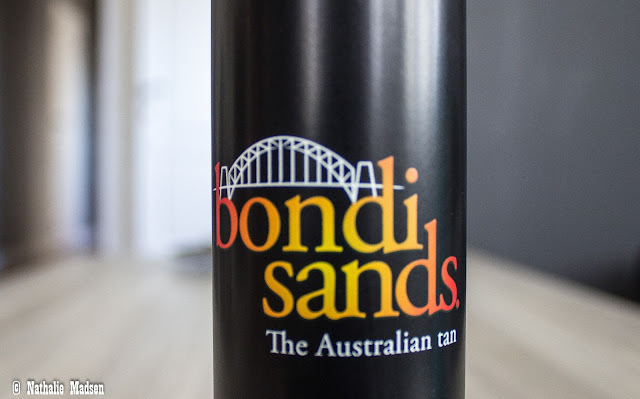 Bondi Sands is owned and made in Australia, and captures what makes Australian summers iconic. Bondi Sands is more than the best self-tanning products, Bondi Sands is about sand, sea and sun and the lifestyle that comes with it. Inspired by Australia’s most well known beach, and a desire to make the ultimate tan accessible to everyone, their salon quality formulas work to give you an even, naturally golden tan that hydrates and nourishes your skin meaning you stay bronzed for longer. 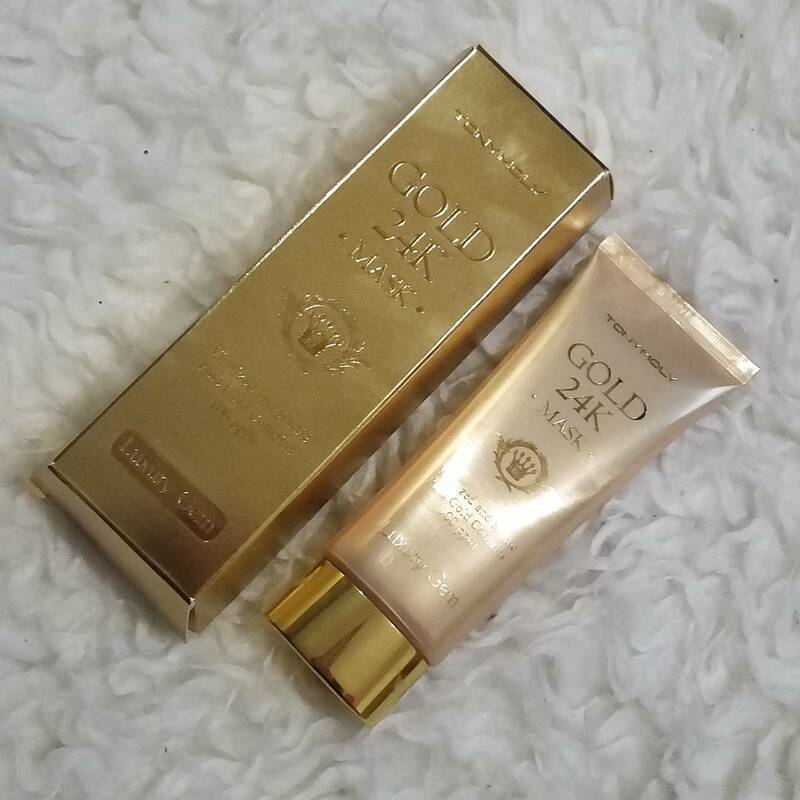 Bondi Sands promises a salon quality golden tan. Other brands often use orange and yellow dyes as their base, using lower quality ingredients, which can result in an orange skin. Bondi Sands uses a formula defined by a premium green/blue dye that results in a natural looking tan. I received three Bondi Sands products, the Light / Medium Self - Tanning Foam, the Dark Self - Tanning Foam and the Everyday Gradual Tanning Milk. I tried all three of them by now, but I'm gonna start this serie of reviews with the Dark Self Tanning Foam. The Dark version is a lightweight, Self-Tanning Foam that’s simple to apply and gives a flawless finish, every time. Enriched with Aloe Vera and Coconut, this is a salon quality formula. Simply smooth on for an even, streak-free tan. The Bondi Sands Self - Tanning Dark Foam is recommended for those with an olive complexion or those who prefer a darker glow. 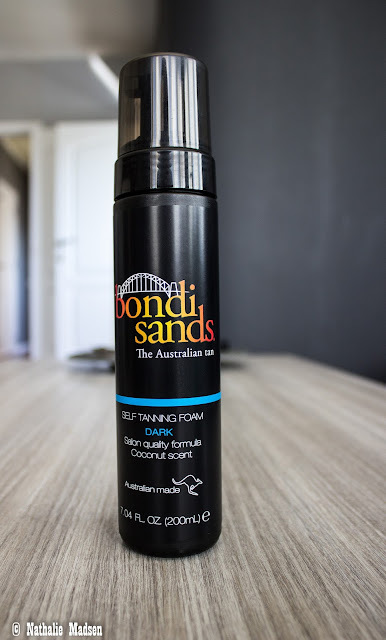 If you're wondering whether you should use the Light / Medium Foam or the Dark Foam, Bondi Sands recommends starting with the light/medium version. The actual difference in colour between the dark and light/medium has a lot to do with your skin and how it develops the tan. In opposite to several other self tanning products, these foams have a pleasant scent. It's recommended to wait 15 minutes before putting your clothes back on, to make sure the foam is dry and develop into your skin. Like I said before, the bottle has a convenient pump on top of it, for easy applying. On the front of the bottle, the brand name and the colour are mentioned and the back has a list with ingredients and the directions mentioned on it. When I used it for the first time and showered it off after developing, my skin was looking naturally tanned. I had a nice golden and streak free tan that lasted for 5 days. Just like it promises! 1. For an even streak free tan, ensure your skin is clean, exfoliated and free of any moisturizer. 2. Pump foam directly onto your application mitt before using long, sweeping motions to smooth over legs, arms and body. Use the remaining tan on the mitt for face, elbows, and knees. 3. You can wash your skin after one hour. 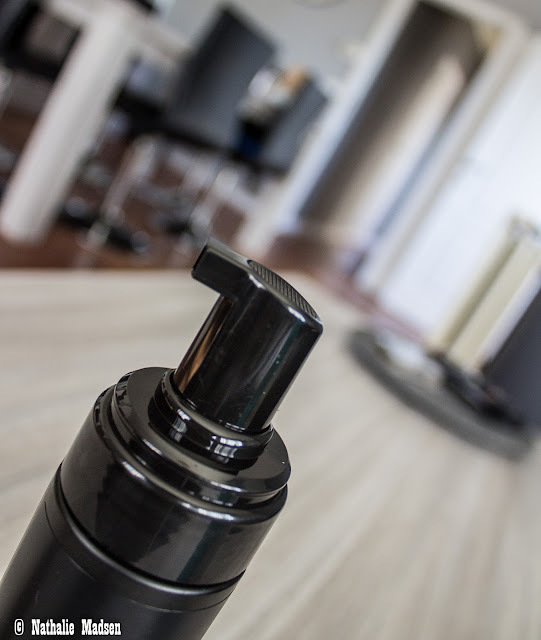 For a longer lasting, darker tan, you can leave the foam for up to 6 hours before showering it off with warm water. Gently pat dry your skin after showering. For the deepest tan re - apply Bondi Sands self-tanning foam 30 minutes after your initial application. Aqua, Dihydrodxyacetone, Propylene,Glycol, Trideceth-9,Aloe Barbadensis, Leaf Juice, Polysorbate 20,PEG -5 Ethylexanoate,Glycerin, Ethoxydiglycol, Butylene Glycol, Phenoxyethanol, Parfum / Aroma, PEG -12, Dhimethicone, CI 14700, CI 19140, Tocopheryl Acetate, Disodium EDTA, Benzyl, Alcohol, Phantenol, CI 42090, Coumarin. 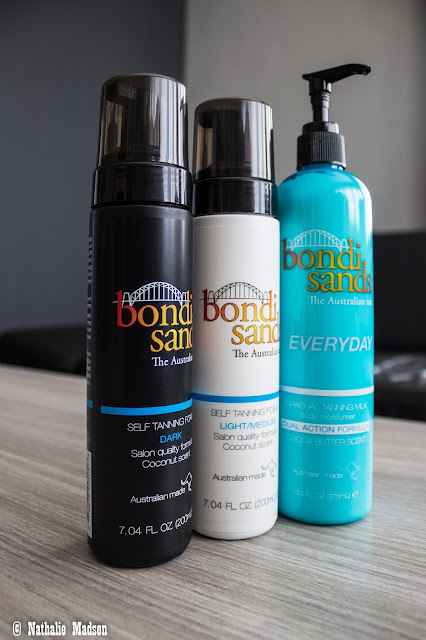 Bondi Sands uses a high level of DHA (Dihydroxyacetone), which is the active ingredient in self-tanning products. It is a sugar molecule that reacts to the amino acids on the surface of the skin. The level of DHA controls how dark and natural the colour looks and it's carefully formulated to create a natural looking tan, balanced with moisturizers to guarantee a smooth, streak-free application and glow. As you can see, I'm pretty happy with this dark version of the Bondi Sands Self Tanning Foam. It's almost time to end my review now, but there's one other important thing that you need to know: The foam doesn't protect your skin against the sun so it's important for your skin to use sunblock too! Or you can use the Everyday Gradual Tanning Milk with added SPF 15, which provides a daily sun protection too. 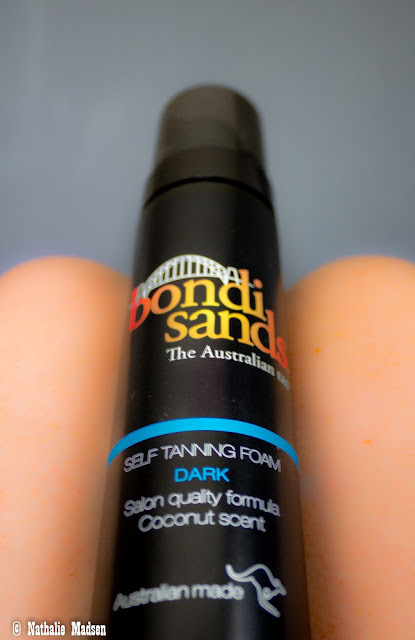 You can order the Bondi Sands Dark Self Tanning Foam here. It'll cost you €24,99 for a bottle of 200ml. Shipping is free for all order over €25 for delivery in Europe, otherwise a flat rate of €9,99 applies to European orders, and all orders will be dispatched the next business day. In the UK, shipping is free for all orders over £25, otherwise a flat rate of £3.99 applies to orders shipped for delivery within 24 hours and £2.50 for orders shipped for delivery within 48 hours. Bondi Sands also keeps you posted about your order. You will receive emails to confirm you that your order has been received and your payment has been processed. You can also check the store locator to see if you can buy the Bondi Sands products in your own neighborhood. 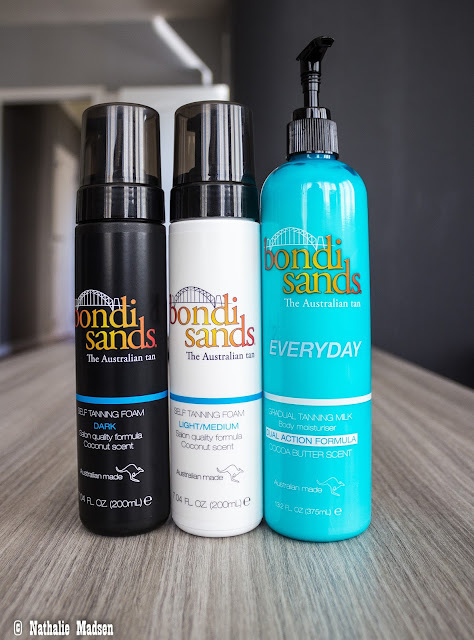 Bondi Sands products are sold in 2500 shops across Australia and New Zealand, in Superdrug and Boots stores in the UK and in various retail outlets across Europe. Returning new and unused products must be done within 14 days. Bondi Sands will refund the purchase cost of the products minus shipping and handling changes. Items must be returned in their original condition; no refund can be made for products that have been used.